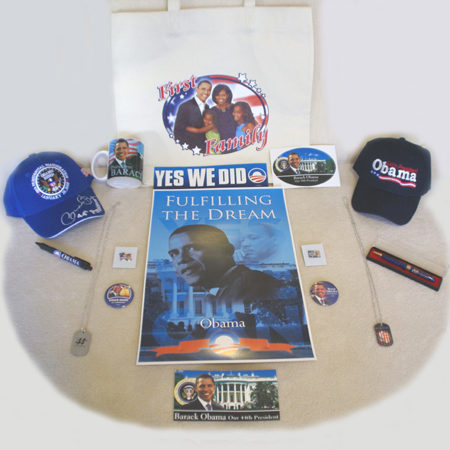 For a limited time, you can purchase this Inaugural Gift Pack that will forever mark this historic moment in time. A fantastic idea for birthdays, the kids, the boss, the wife, any family member ... or just about anyone! Part of the beauty of this unique opportunity it's truely timeless; imagine giving this set to an expectant pair of parents and how proud they'd be to have this part of history to present their sons or daughters as a birthday gift (possibly many years or even decades) into the future! These beautiful items will be treasured for generations to come. Quantaties are limited, so act quickly. 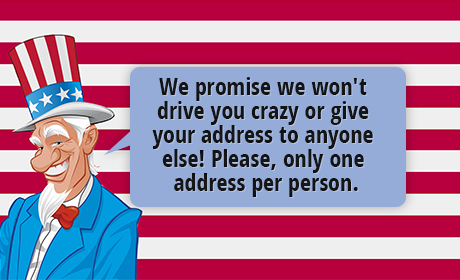 - 1 Bumper sticker which reads "YES WE DID"
- 1 Black baseball cap embroidered with "Obama"
- 2 Military "dog-tag" style necklaces with a holographic image of Barack speaking and the American Flag on one side, and a highly polished back reading "Our 44th President"
Own a moment of history. Make purchase today.